Simply Automated UPB plug-in, grounded, heavy duty appliance module provides reliable on/off control of appliances, motors, transformers, fluorescent, CFL and energy saving lights, up to 15A. 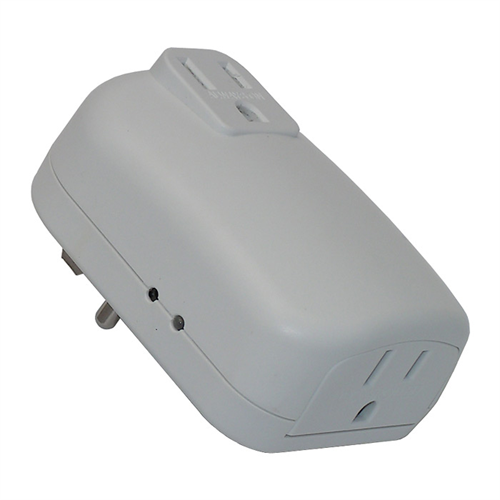 Also has an optional user configurable auto-off timer to turn the load off automatically. Features local load sense feature that will turn the lamp module on if the lamp is turned on/off 2 times in a row, saving a trip to a UPB controller.